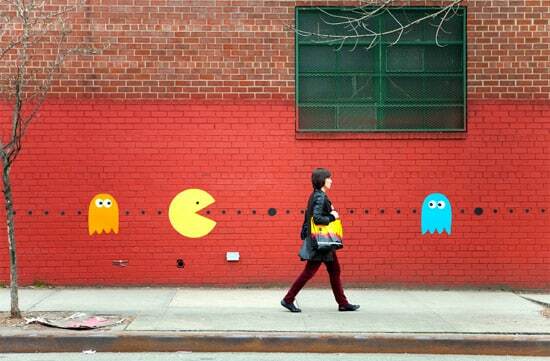 Street artist Katie Sokoler from Brooklyn came up with a great idea to make the streets, where she lives, into a real life game scene of Pacman, that is known as one of the most famous epic computer games. 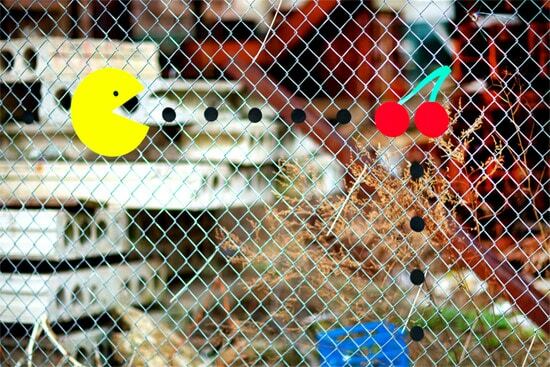 You can spot the pacman figures on walls and fences in New York, and they really give the city a colorful boost. 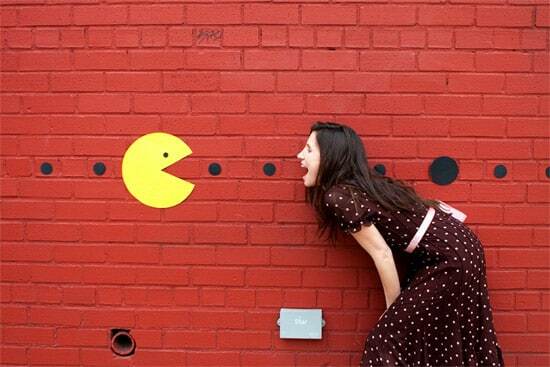 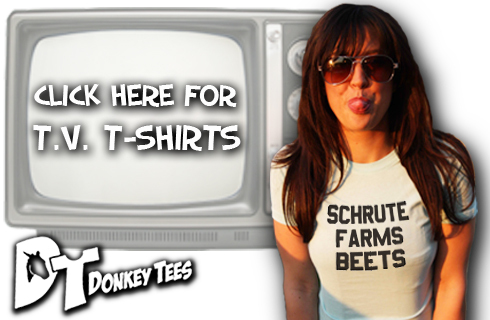 Katie is also a freelance photographer who photographs people walking by her street art so it looks more spontaneous. 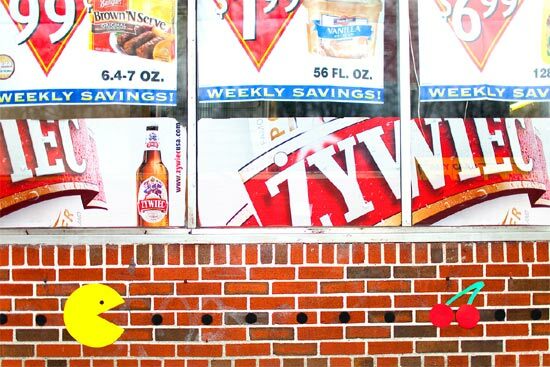 The pacman characters including the cherries, the ghosts and the dots are made out of poster board and tape. 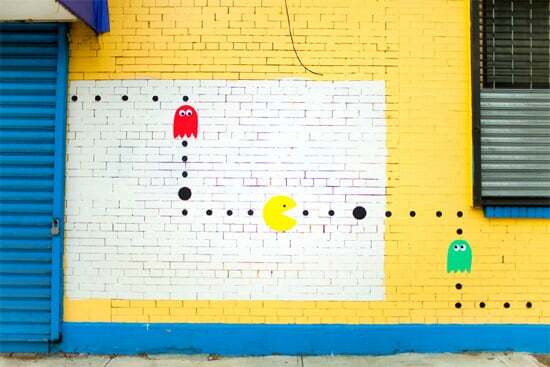 Other New York artist that has made street art is Edina Tokodi who is using green grass to make animal “graffiti” on the streets of Brooklyn. 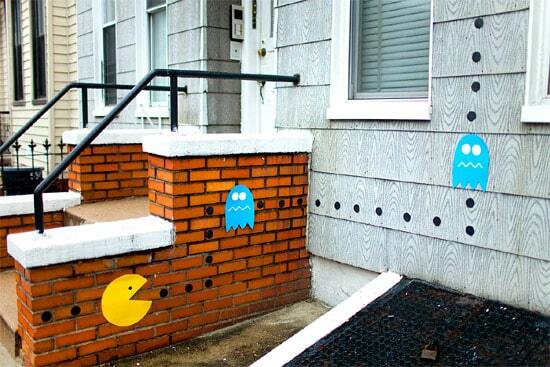 these are fab, I love pac man!